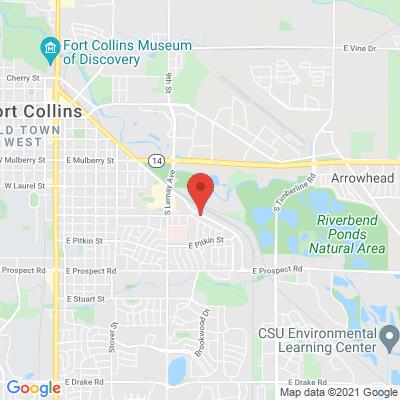 Front Range Center for Brain and Spine Surgery, P.C. Learn About Front Range Center for Brain and Spine Surgery, P.C. The collaborative and multi-specialty team of professionals at Front Range Center for Brain & Spine Surgery delivers advanced treatments for complex conditions. Their commitment is to your quick and successful recovery. Physicians at the center are known for being supportive, honest, and straightforward with patients. They will ask and answer questions thoroughly, helping you understand your options, and only encourage surgery if it’s absolutely necessary. The center features 2 board-certified neurosurgeons and 1 board-certified orthopedic surgeon, serving 3 locations that attract patients from northern Colorado, western Nebraska, Wyoming, and western Kansas. The team cares for a full range of disorders and injuries of the spine and brain, offering non-surgical treatment options as well as minimally invasive surgical procedures. 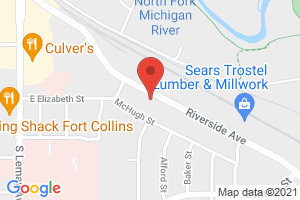 Front Range Center for Brain & Spine Surgery has been in practice for over 35 years, and the physicians here apply over 100 years of combined experience. Discover the benefits of receiving world-class care from Front Range Center for Brain & Spine Surgery. Meet the Physicians of Front Range Center for Brain and Spine Surgery, P.C. What Patients are Saying About Front Range Center for Brain and Spine Surgery, P.C. Thank you for taking care of me and performing my surgery. Already, five days out I have noticed the burning and stabbing pain in my left leg has decreased tremendously. What a relief!! I cannot tell you how gratifying it is to have a new perspective on life, no longer shadowed by constant pain. It is an art, what you do and I appreciate your care. You all have a marvelous set up. Dr. Beard was fantastic and I won't hesitate to recommend him. The nurses and everyone at the hospital were wonderful. You fixed me up really well, Again. Thank you so much for making the pain better. Also your staff and the caregivers at Surgery Center of Fort Collins were outstanding. Thank you for the excellent care I received from you and the relief I have from the surgery you performed in January 2015. It is nice to be able to move without the previous pain I had. Thanks for all you did. My recent surgery, lumbar fusion, has made such a difference in my life!!! I’m truly grateful for such competent, caring, caregivers, and want to thank all of you, Dr. Turner as well as the caring office staff. It has made a significant improvement in my comfort and well-being that “Thanks” seems so little a word!!! But “Thanks” is packed with much appreciation!!! Highlights from Front Range Center for Brain and Spine Surgery, P.C. Serving northern Colorado, western Nebraska, Wyoming, and western Kansas. Office Information for Front Range Center for Brain and Spine Surgery, P.C. Profile last updated: April 10, 2019. This information was supplied by or on behalf of the provider.